In recent years, Mississippi Avenue has become synonymous with good food, busy bars, and people (lots of people). Radar offers a welcome respite from the crowds and chaos of our increasingly busy city with its exposed brick interior and maritime themes, which give a tasteful nod to expansive waters and calm seas, along with friendly service, which makes it feel like home. This year, we worked with owner Lily Tollefsen to create an outdoor patio that would offer more space while maintaining the relaxed yet polished feel that Radar has so successfully curated. After an initial consult with Owen, where Lily provided inspiration images, the design-build process began in earnest with Project Manager Marty van Dyke, who brought the concept to reality. The end result is a simple and elegant outdoor space enclosed by cedar paneling with a covered cedar trellis above. 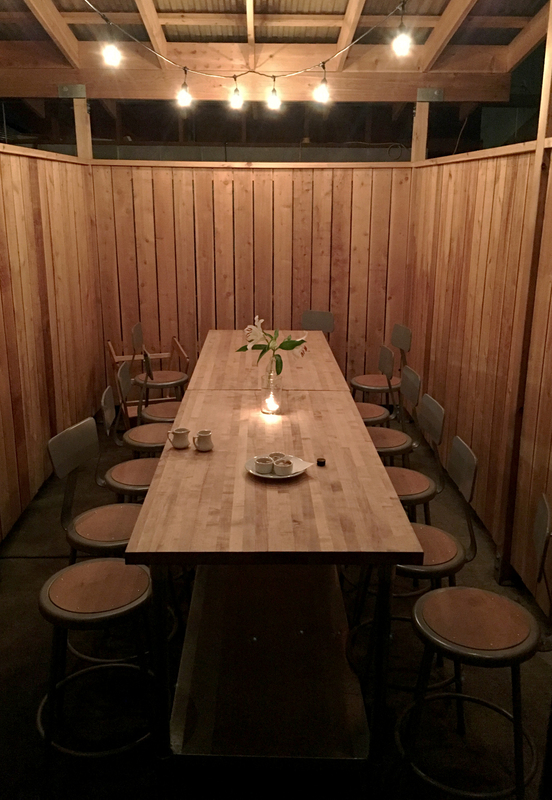 By fencing the space in and using minimal but sufficient lighting, Radar is able to provide an intimate dining area that can be used for private parties of any kind. This multi-purpose space also allows the surrounding area to be utilized for storage, barbecuing, and prep work.